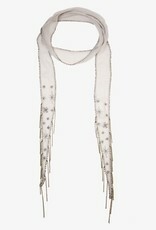 Add a little edge to your outfit with this delicately embroidered skinny scarf. 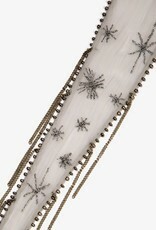 This light-as-air scarf features starburst embroidery and chain fringe at the ends that adds an edgy quality. 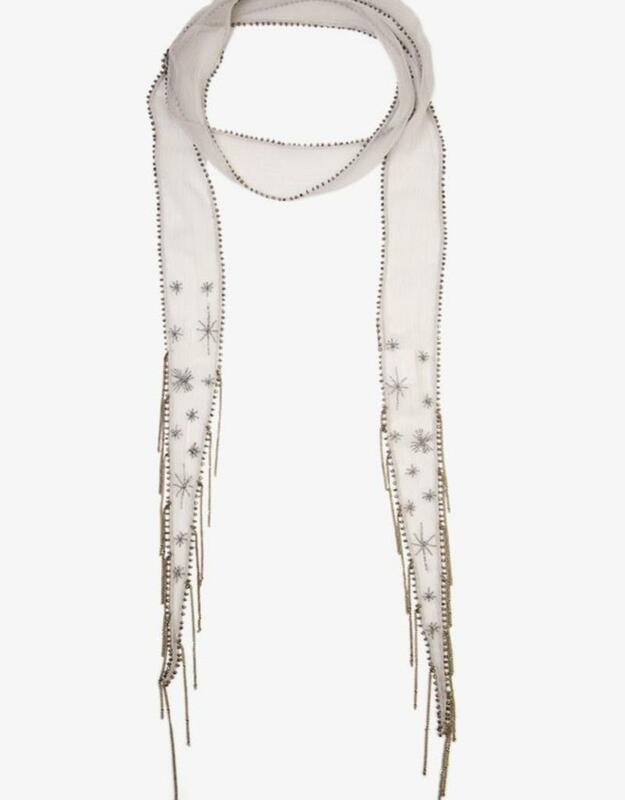 Whether you toss it on a simple t-shirt or flowy blouse, this embroidered scarf will bring a touch of elegance to any ensemble. Measures approx. 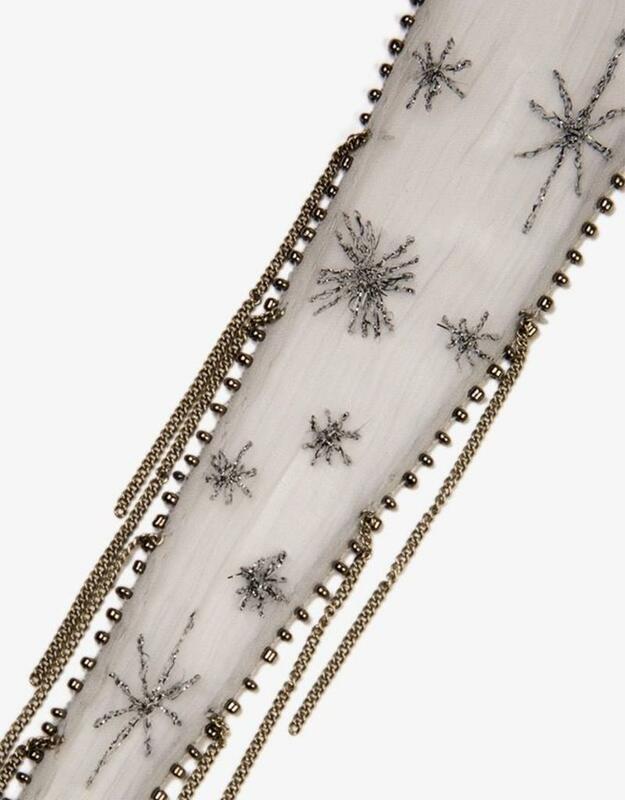 2" x 70"